A debut in grand style for Urban Metropolitan watches, a tribute to the verve and contagious vitality of life today. The Urban Metropolitan collection projects an international air, its cosmopolitan mood articulated in countless models of a timepiece with a forceful character that makes no secret of its feisty street style. 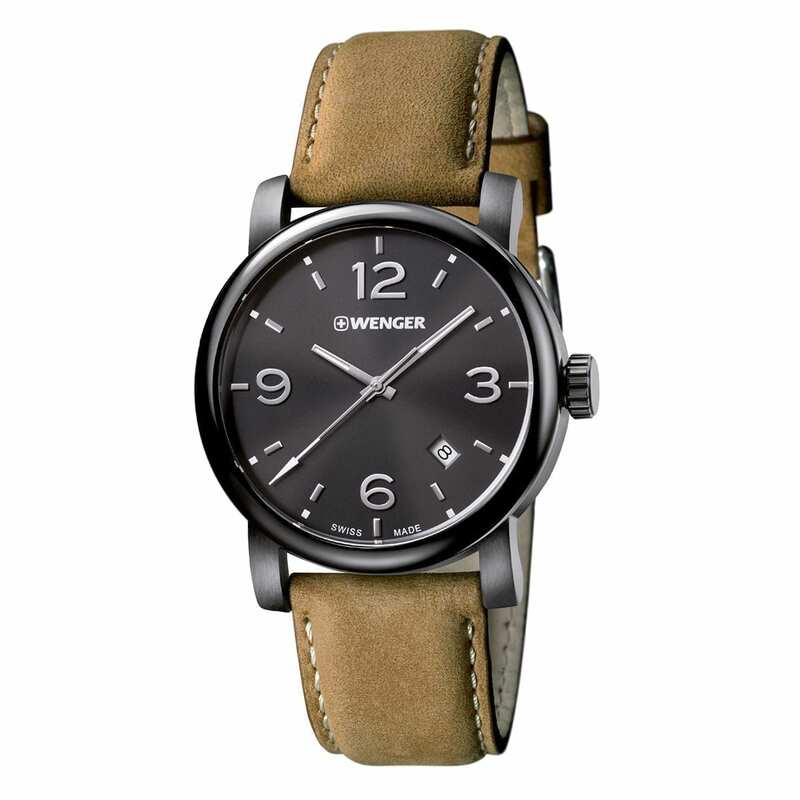 The Wenger Wristwatch Urban Metropolitan 129 Light brown by Swiss Made is all the way perfect in modern fashion and is all ready to suit your hands and requirements. The wristwatch is well featured and uniquely designed containing all the qualities to fulfill your requirements that include smart sizing, proficient shaping, and effective functioning along with bright and smooth colors. These very well organized qualities and modern designs in very suitable prices make these watches one of the most admired personality in the market. The wristwatch contains all the quality features that will be perfect for any hand to have an attractive look. From a very well sized case size of 41mm to light brown suede look of the watch make it brilliant choice for anyone. The non-irritating leather strap of the watch has a very attractive light brown color with stiches that will assure best fitting and safety from irritation. A stainless steel case of 41mm is fitted with the leather strap and contains a quartz movement dial having all three hour, minute and second hands along with a date portion. The finely made and well-designed wristwatch always assures attraction from everyone and will be best for your hands too. The Swiss Made is making each possible effort to be most trending and admired brand for you. Due to which along with offering great features in very affordable prices has also make it possible that you get most brilliant, reliable and high quality product. The wristwatch is made water resistant 100m and its dial is coated with sapphire crystal to resist breaking. The complete color of the wristwatch is PVD treated to offer best reliability and proficiency for years. These brilliant steps in offering each perfect quality by this wristwatch can easily compel everyone to have a try and worth your money.